I specialize in Florida Re-location Clients, Cross Border Canada Sales, premium negotiation and customer service skills for results you deserve. The cobblestone streets of this Spanish colonial town date back almost 450 years. You’ll see 5 flags flying over the Government House downtown indicating the nations that held sovereignty over the city of St. Augustine, the oldest continually occupied European settlement in the continental United States. Today, St. Augustine is situated right in the middle of modern Florida – a mere 40 miles from the glassy skyscrapers of downtown Jacksonville, 100 miles from the rocket ships of Kennedy Space Center and 100 miles from the fantasy theme parks of Orlando. Yet its history makes it seem worlds away. The city’s attractions are diverse and plentiful including forts, historical sites, living history museums, animal parks, sightseeing tours, specialty museums and areas for recreation and amusement. Many attractions, accommodations, shops, art galleries and restaurants are within the St. Augustine’s Downtown Historic Walking District. You can enjoy the many diversions that central St. Augustine holds without ever having to move your car! We have a parking garage conveniently located adjacent to the VIsitors Center. Our coastline is second to none and residents and visitors alike have the opportunity to drive on, park, picnic and enjoy the white sandy beach in designated areas. Good wave breaks have made St. Augustine Beach a popular spot for surfing. The St. Johns County Pier is a popular gathering place for fishermen and offers a weekly Farmers Market and concerts on Wednesdays in summer. Fishermen, sun worshipers, bird watchers, campers and everyday fun-seekers enjoy sandy beaches devoid of commercial development in Anastasia State Park and Recreation Area. The idyllic seaside paradise of Vilano Beach is emerging into a town center with art deco styling and “mom and pop” charm – a refreshing throwback to the Florida of yesteryear. You can charter fishing boats, rent a Jet Ski or arrange to parasail all from its pier thrust into the intracoastal waterway. The experienced REALTORS® of the St. Augustine office will guide you to the hot spots you crave or the quiet getaways you deserve in St. Johns County. Come visit what Good Morning America called “The Number 1 Place in America to visit without needing a passport”. We know you’ll stay! Updated Apr 21, 2019 12:24:pm. Data provided by Flagler County MLS. Information deemed reliable but not guaranteed. 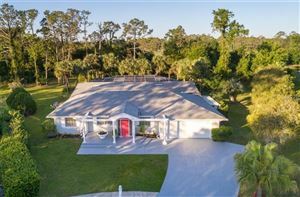 Copyright 2019 Daytona Beach Area Association of REALTORS® Multiple Listing Service. All rights reserved. Listing broker has attempted to offer accurate data, but buyers are advised to confirm all information.